What with the last month's launch of iBookstore in Brazil, and last week's launch of the Livraria Cultura branch of the Kobo eBookstore, Amazon must be feeling the pressure to get the Brazilian Kindle Store up and running soonest. That could explain a recent goof made behind the scenes at KDP, Amazon's self-pub program. According to David Gaughran, the confirmation emails which Amazon sends out to newly registered authors and publishers now includes a mention of amazon.com.br, Amazon's still unopened Brazilian website. I don't know about you, but I find it rather curious that there's no mention of the Kindle Stores in Italy, Spain, or Japan. While the latter could have been left out because of language issues, the other 3 sites should be listed. And even the one for Japan should be listed; for all we know the person reading the email is fluent in Japanese. Then again, this kind of mistake (including a nonfunctional site while leaving out existing sites) strikes me as quite plausible. For all we know a memo could be circulating behind the scenes at KDP with the news that the new Kindle Store was launching in the next few days. Someone could have gotten ahead of themselves and added the link for the new site before they were supposed to. 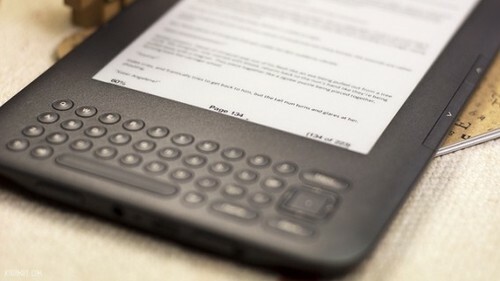 Amazon had been rumored to be launching the Brazilian Kindle Store this month, and by my clock they have not quite 20 hours left to make that rumor come true. But today is a Friday, so it seems more likely that the launch will be announced Monday morning. The reason (I presume) why there is no mention of Italy or Spain is because this is a reference to setting up your “About the Author” page on Author Central – and there is no Author Central yet in those countries. There is one, however, for Japan – so I’m not sure why that is omitted. Perhaps it’s an error, or someone jumping the gun. Hard to say. As you get one of these emails each time you do anything to your book (like changing price – which I do regularly), I can confirm that “Amazon.com.br” has been in the emails since at least November 9. Prior to that, the emails made mention of Japan, as well as Spain, Italy, and China – where there is no Author Central. In fact, the links were dead links, triggering the standard “could not find” browser message. What does it all mean? No idea. P.S. The reference to “Amazon.com.br” has been removed from KDP emails as of this morning. No surprise there. I know lots of people at Amazon and other companies read this blog. And I’m not surprised at the other missing links or the incorrect links. That adds weight to the idea that whoever updated the email was responding (sometimes incorrectly) to memos circulating behind the scenes at KDP.